TV shows, movies, and games are often distributed online, and a great download manager will slash the amount of time you spend waiting for them to appear on your hard drive. The best managers can speed up downloads by breaking files into manageable blocks, let you pause and resume whenever you want, and even compensate for flaky internet connections by picking up where they left off after it breaks unexpectedly. Some download managers will even convert media file formats automatically, saving you the hassle of re-encoding them yourself, and others will let you begin playing an audio or video file before it's finished downloading. Here's our pick of the very best free download managers for Windows. Once you've tried one, you'll wonder how you ever managed without it. Ninja Download Manager is a relative newcomer to the downloading party, and it looks considerably more contemporary than its, er, contemporaries. Its interface is simple and modern (if a little dark), and its accelerator can help you get your files 10 times faster. It does this by splitting each file into chunks, then downloading each one using a different server connection, making downloads not only faster, but also more reliable. If you're into music and movies you'll be delighted by its sequential setting, which lets you begin playing a file while it's still downloading. There's also a built-in video downloader with support for YouTube and Vimeo, and a video converter that changes the file format automatically once it's finished downloading. There are lots of fantastic options around, but if you love music, films and TV then Ninja Download Manager is the tool for you. Note that the link to download the free version of Ninja Download Manager is at the very bottom of the developer's homepage. Free Download Manager aims to be all things to all people – and succeeds. It's a download accelerator, a BitTorrent client, an audio and video previewer and a traffic management tool, and because it's open source, it's completely free and receives regular updates from its community of developers. It includes powerful scheduling features and a very handy remote control that means you can leave your downloads running and check on their progress from any internet-connected device. It can spider sites to download specific kinds of files, and you can choose to download only the bits of a ZIP file you actually want. It's an exceptional program, and it was tough to choose between this and Ninja Internet Download Manager for the top spot. The free version of Download Accelerator Plus is a pared-back version of the premium edition, but it's much more than just a demo and contains all the essential features you need for quick, reliable downloads. 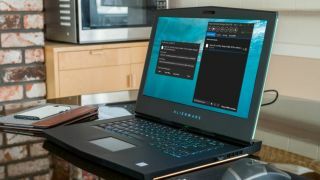 The free version lacks the DAP Premium's privacy protection, but it does include a link checker, video previewing, file conversion, safe downloading and multiple connections to boost the speed of your downloads. Download Accelerator Plus is clearly designed for media fans, and can help you avoid irritations such as slow servers and internet congestion. JDownloader is a free, open source download manager with a massive developer community, and it's available for Windows, Linux and Mac. It's really one for power users, with support for over 300 decryption plugins, automatic RAR extraction, password list searching and OCR to complete some of the captcha 'I'm not a robot' checks you encounter on download sites. You'll need the Java Runtime Environment to run it, and you'll have to be careful when installing it: the installer contains adware, which will be bundled in with the download manager if you don't specifically deselect it. Also beware fake 'download' buttons on the site; the actual download link is a line of text. EagleGet is a smart, modern download manager that makes downloading all kinds of media files a piece of cake. It boasts accelerated downloads, automatic malware checking, automatic and batch downloads, and lots more features besides. EagleGet's browser extension works with Chrome, Firefox, Opera and Internet Explorer, identifying downloadable content on pages and letting you grab it with a couple of clicks. Any open browser windows will be closed when you install EagleGet, so make sure you've saved any works in progress before you begin.